The scroll saw is one of the popular tools for carpentry with its versatility only known to a select few. While a number of woodworkers know the scroll saw to be a cutting and design making tool, a few others a lot of scrolls saw uses. In this discussion, we would be looking at the regular and conventional uses of scroll saw to a woodworker. We shall also be looking at some of the many creative projects that can be carried out with a scroll saw. Over time, the scroll saw, with its regular functioning state, has been used by several woodworkers for a number of regular and conventional purposes. As a machine, the scroll saw is very versatile in its use across various woodwork shops. So we ask you as a woodworker ‘what do you use the scroll saw for?’ We shall be looking briefly at a number of these conventional and regular uses. Puzzles have been the most common use of a scroll saw amongst woodworkers. The scroll saw is being used to effect different puzzle designs on wood pieces. They also come in various sizes depending on the scroll saw that is used. Scroll saws are also being used to make wooden toys and boxes of different shapes, styles and sizes. These wooden boxes and Tyson can either be the simple pull toys that are common among children, or the more realistic and detailed model boxes and toys used by grown-ups. The scroll saw can also be used for fretwork as well. Here the blade of the scroll saw is inserted into the work piece via a very small hole which allows for those small holes to be removed. Holes removed now form into the shapes and sizes designed by the blade before being inserted in the wood. The scroll saw can also be used to make bowls used in homes, vases for flowers and many other wooden containers that can be used in storing items both at home and even in your wood workshop. The versatility of the scroll saw also stretches to its being able to be used for other band saw accessories. 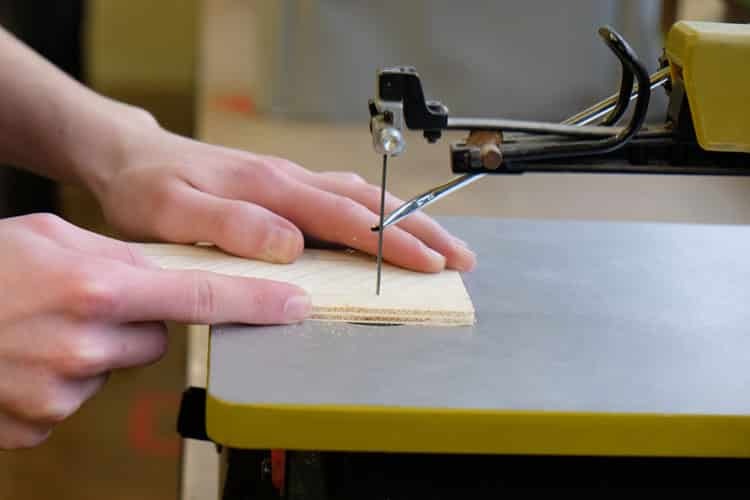 Though not directly, the scroll saw aids in many the making process of a number of the band saw accessories that make it function effectively. With the aid of the scroll saw, you are also able to create objects that have a 3- Dimensional feel. These objects are well crafted with the scroll saw to make them seem very real to the user with a full width, length, and breadth. 3D objects that can be created with the scroll saw includes a car, bag, and other objects. The scroll saw can also be used in making inlays and marquetry of different kinds. The beauty of this inlay creation is that it allows for you to personalize them to fit individual design types of anyone. Just like every other saw like the band saw and jig saw, the scroll saw cannot also be used in cutting various materials. As a saw, it has a really sharp blade that not only makes cutting very easy but also helps in producing excellent cuts. With a knowledge of how to make a 90° like a pro, you are definitely having an accurate cut with the scroll saw. With the scroll saw, you are able to cut wood into smaller pieces of various shapes and sizes and have them glued together. These glued pieces are later designed into a mosaic form of different types, shapes, and sizes that are quite attractive. The scroll saw is also used for marking different curves from the round curves to the plain curves depending on the designer to be effected on and with the wood piece. Curves made with scroll saw have been said to be more accurate and precise than those made with a number of other saw types. Though not a jointer, the scroll saw can also be used both as a jointer and a dovetail jig. As a dovetail jig, the scroll saw can be used in cutting dovetails while as a jointer, you can also make use of the scroll to make accurate joints of two wood plain surfaces at different angle joints. Another major use of the scroll saw is to make tenons. This is mainly done by professional woodworkers who have mastered the use of the scroll saw. In order to reduce the number of tools used for a particular task, they used the scroll saw as much as they can. Templates for router bits are usually made by using another separate tool. 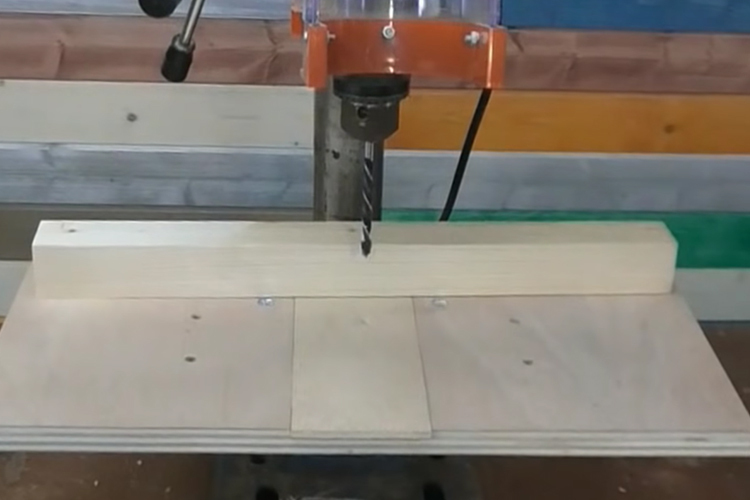 However, from continuous use of the scroll saw, it has been discovered that it can also be used in making these templates for router bits. The scroll saw can be used for wooden name plaques projects. Wooden name plaques can either be a small or large plaque depending on what is desired. They however regardless of their sizes carry the names of the user in them. One of the many scroll saw uses is to make a wooden paper doll that has customized wooden clothes on. This can be a very good gift to give to your female children or those of your loved ones in festive seasons as the case may be. Trust me they come in lovable designs that girls appreciate. Another nice project idea that the scroll saw can be used for is making a plague of your mother and sending it to her on Mother’s Day. Just imagine how excited your mum would be when you present her with such a good looking plague. With the scroll saw, you can carve out excellently looking desk clocks of various types and sizes. You could make them to shapes like that of a butterfly, a teddy or something that would be attractive wherever they are placed. Try something new and register yourself as a woodworker with a difference by making use of the scroll saw to make wooden ribbon box. These wooden ribbon boxes made may not necessarily store ribbons alone but can be used to store other petty items as well. The beauty of art has always been in how creative you can be. You can also be creative when you explore, try and perfect over time. With a scroll saw, you can design a topography map art of your home, property, region or anyone and make it so attractive that it can be spotted anywhere it is placed. Women, no matter how much of it they have cannot get over jewelry boxes. You can come up with the creative idea of making wooden jewelry boxes fashioned just after the conventional jewelry boxes women have come to like. Just like they have liked the jewelry boxes, they will surely like this too. The scroll saw can also be used to create wooden bowls of various designs that are not common to everyone. When it is not common, it is not just creative, it will also be very much attracted to everyone. Cutting small wood pieces with the scroll saw and having to glue those to form an intarsia teddy can be possible with a scroll saw. Architectural shelf brackets are also projected ideas that can be carried out with the scroll saw. Just look at what is obtainable of the original ones and try to recreate them with woods and do it accurately. With puzzles being common projects that are carried out with the scroll saw, you can try a different and not so common type of puzzle which is the dinosaur puzzle. In making a dinosaur puzzle with the scroll saw, you have to exercise care and attention to details. With the aid of a cutting board and a saw, you can make DIY botanical trivets. To do this, you just have to understand the different scroll saw patterns that can be used and how they can be used. How about making your kids profile into a plaque? This is possible with the scroll saw and you can go on to do so for every one of your kid. Just find what design that appeals to them and make use of it. Multiple cuts out butterfly clocks can be made with the scroll saw and put up for sale. From this, you will discover that you can earn yourself some extra cash while waiting for the big projects that require the use of the scroll saw. Last but not the least project here that can be carried out with a scroll saw is the wooden state cut out. These project will mean that you make a number of wooden states cut out in their various sizes. From the many scroll saw uses that have been provided for and the creative project ideas as well, it is certain that you can do more with scroll saws. With this, we have been able to provide an answer to questions surrounding what scroll saws are used for. However, in carrying out any of these projects, you have to pay attention to every detail through the process alongside knowing what a scroll saw really is and what it’s capable of. This way you are able to produce more accurate results without having to go back again on any of the steps.